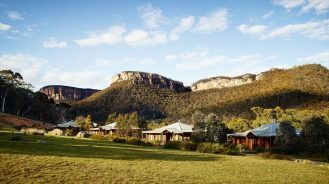 Business travel can be hectic but fret not, these cozy hotels in the heart of commerce hubs combine tranquil luxury with thoughtful service and amenities. Check in, unwind and recharge for another day. 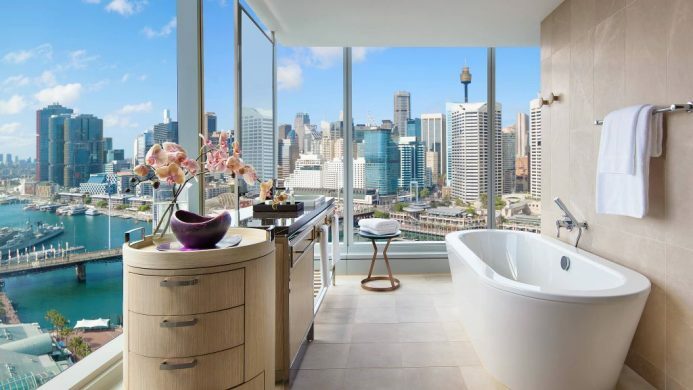 Located next to the International Convention Center, the Sofitel Sydney Darling Harbour is the perfect mix of business and leisure. Only steps from the business district, ferries and central train station, corporate travelers can easily hop around the city before retiring back at the hotel’s champagne lounge or guest-only pool deck. With an address on Sunset Boulevard, Andaz West Hollywood provides easy access to the rest of Hollywood and Los Angeles. Here, complimentary in-room snacks and a 24-hour gym keep business travelers in tip-top shape for the day. 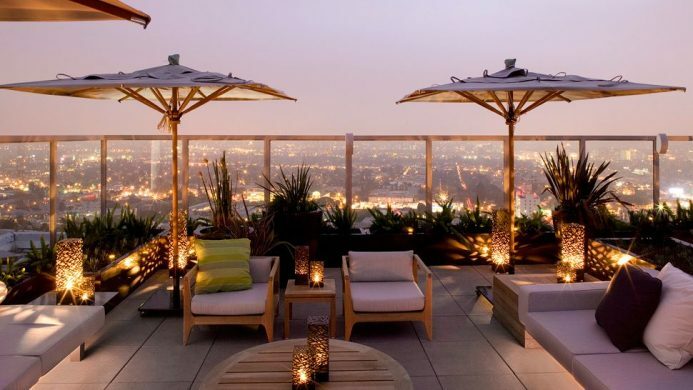 Post-business, a nightly wine hour and the highest pool in Los Angeles are your rewards. 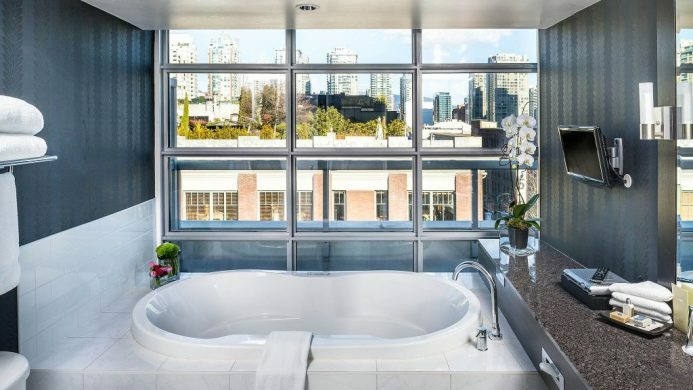 A stylish boutique hotel in vibrant Yaletown, Opus Hotel Vancouver offers laid-back luxury within the downtown core. Modern amenities such as complimentary in-room iPads, long-distance calling and house car service provide all the conveniences for business travelers. If you have some spare time, the hotel has cruiser bikes for exploring the city. 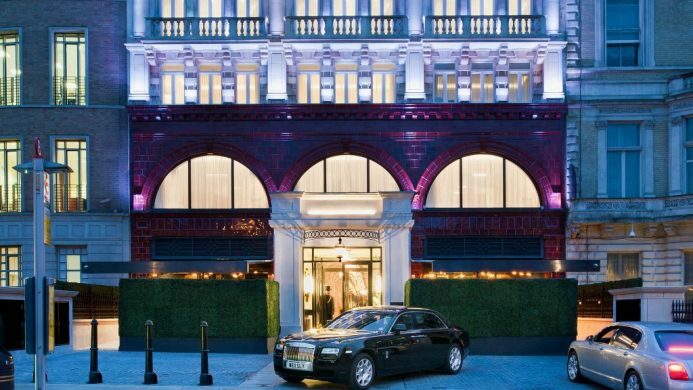 A modern Art Deco-style hotel near Hyde Park, The Wellesley Knightsbridge is your sophisticated yet cozy home-away-from-home. Complimentary Rolls Royce drop-off and 24-hour butler service are here to ensure business trips go as smoothly as possible. After work, you can unwind at the cigar terrace, jazz lounge or 1920s-style bar. Chef Nobu’s signature style comes to the Silicon Valley at the Nobu Hotel Epiphany. 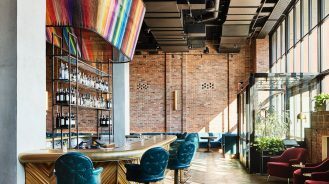 This modern hotel with an East meets West Coast vibe is made for business; the public spaces are perfect for casual meetings and the Nobu Restaurant will impress the most discerning clients. 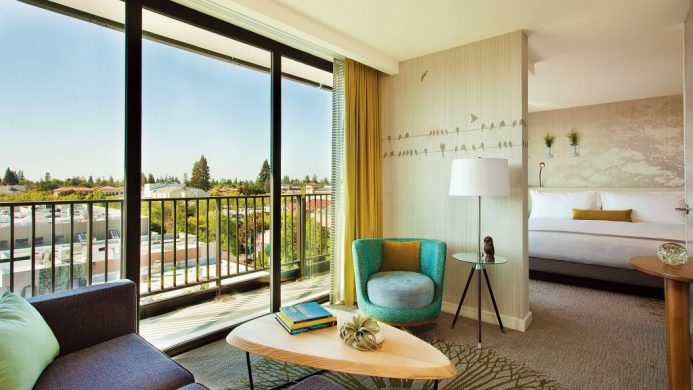 Hotel bicycles and complimentary access to the health club help you practice work-life balance. 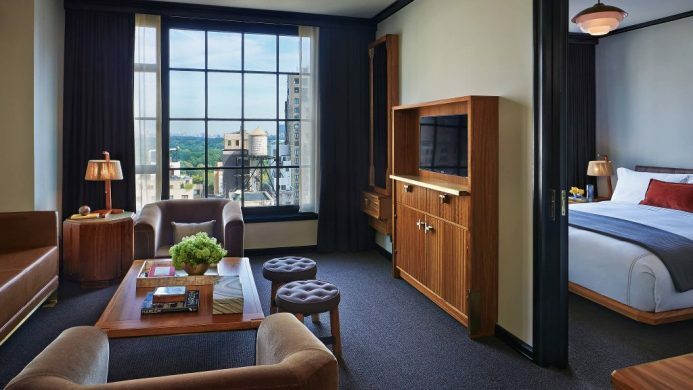 Of all the luxury business hotels in New York, Viceroy Central Park is your residential-style stay in Midtown Manhattan. The Romans and Williams-designed hotel is a nod to the glamorous era of steamship travel, offering business guests plush, tailored rooms to come home to. Thoughtful amenities include complimentary printing, post and parcel service, and an award-winning concierge. The newly opened Fairmont Austin, overlooking the business district and nestled between Palm Park and Waller Creek, is a true urban reprieve. The hotel is home to five restaurants, a pool terrace and downtown’s largest spa. The Fairmont Gold floor is where the perks are; lounge amenities include breakfast, dedicated concierge and more. 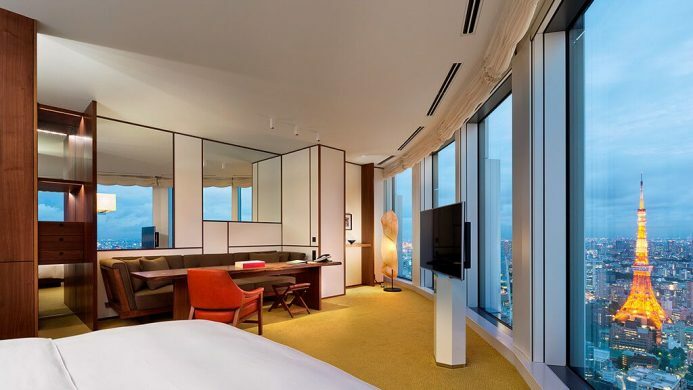 A blend of Japanese design and modern luxury, Andaz Tokyo Toranomon Hills is an urban oasis complete with sweeping views of the city skyline. An on-site business center and a location near the financial district make it an ideal home base for business travelers. After work, enjoy one of their five restaurants, the indoor pool or wine and canapé hour. 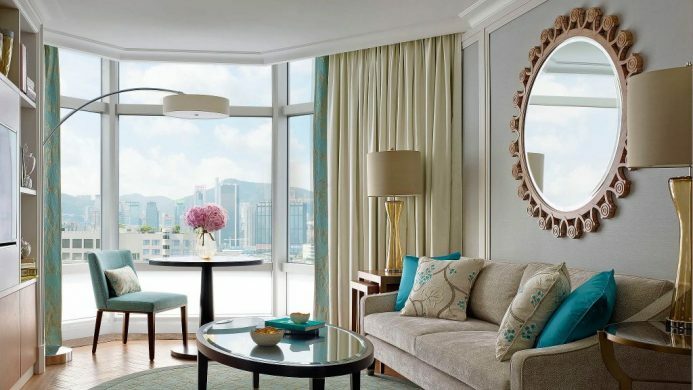 Located in the bustling Tsimshatsui district, The Langham, Hong Kong has a club lounge that makes it one of the best business hotels in the city. Club members enjoy benefits such as use of the boardroom, laptops and iPads on request, and a stocked pantry. Then there are the hotel’s other offerings, such as the three Michelin-starred restaurant and split-level health club. Bisha Hotel and Residences offers an elegant boutique option in Toronto. The hotel gives you access to the best of the city with a location in the entertainment district within walking distance to the waterfront and business district. 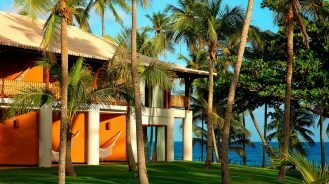 It may be boutique but this art-filled abode does not lack style nor luxury—designer rooms, a celebrity chef and 24-hour gym inclusive. 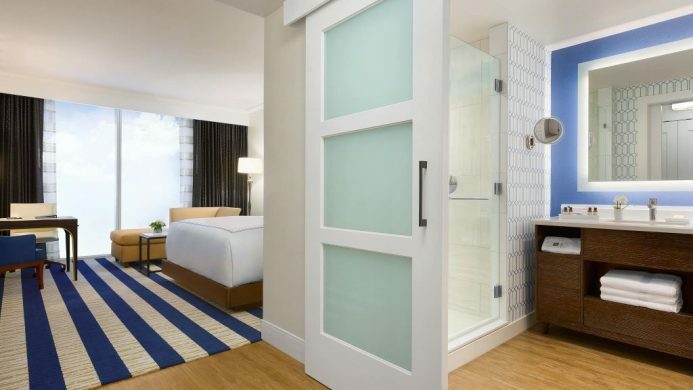 Kimpton EPIC Hotel is where business trips feel like a vacation. 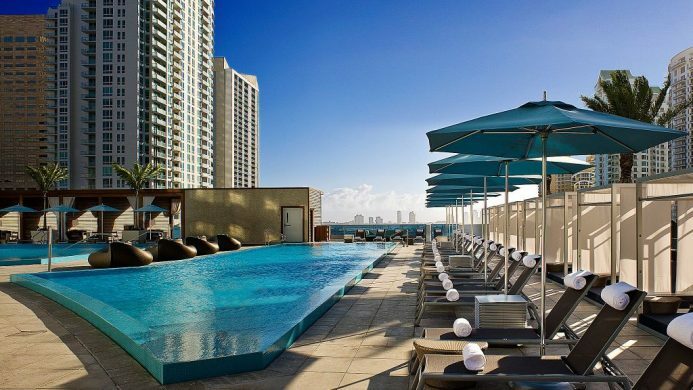 This boutique hotel offers resort-style luxury amidst downtown Miami’s skyscrapers, including a cabana-lined pool terrace, private marina and 12,000-square-foot spa. Guests can start the day on an in-room yoga mat, grab a coffee in the lobby, do business in the city, then return for the nightly wine hour.